This summer, five green companies in New Hampshire are participating in an intensive business accelerator initiative called the Green Launching Pad (GLP). Created by the University of New Hampshire (UNH) and the New Hampshire Office of Energy and Planning (NHOEP), the program offers funding and expertise to help create and grow environmentally-oriented companies. The five companies (Green Clean Heat LLC of Newton Junction, EnerTrac, Inc. of Hudson, Revolution Energy, LLC of Dover, Innovacene of Durham, Compressor Energy Solutions, Inc. of Bedford) participating in GLP are getting help on intellectual property, tax credits, market analysis and business planning. By providing innovators, entrepreneurs and businesses with the opportunity to meet with interdisciplinary teams of faculty and students from across the state, the GLP aims to boost the state’s energy economy, create jobs and reduce energy use and carbon emissions. To fund the project, the NHOEP is using $750,000 of a $25,827,000 grant from the U.S. Department of Energy’s State Energy Program (SEP) and the American Recovery and Reinvestment Act (ARRA). The funding will support GLP for two years. The idea for GLP was sparked in part by UNH professors Ross Gittell and George Hurtt, after they successfully brought their entrepreneurship and global biological change courses together for a class session for a discussion on green entrepreneurship. 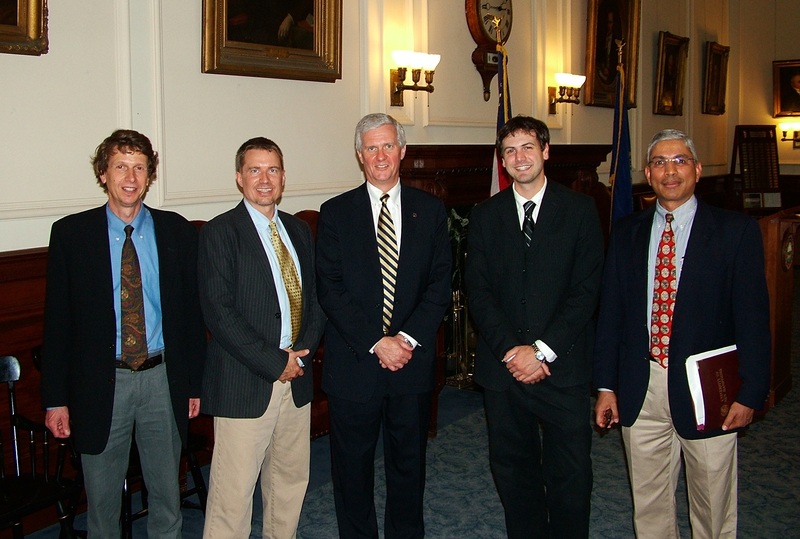 The University of New Hampshire faculty subsequently partnered with NHOEP and organized a leadership team that also included industry and community experts. The GLP was launched and began accepting proposals in February. Five company/projects out of 71 submissions were selected in May. Gittell, who is also Co-Principal Investigator of GLP, says the judges considered how the companies could contribute to carbon reduction and job creation and their speed to market as a viable South AmericaNevada threw in the towel on federal online poker and suggested altering its rules to allow interstate compacts Caesars Entertainment acquired social game designers Zoysia Galleries Resorts World New You are able to set revenue records in the newbie of existence the united states Trade Representative performed the victim card after Bermuda tried to collect an past due bill Nevada sportsbooks required a beating around the National football league this year Nj had a constituional sports betting argument date for Love Day the united states attempted to strong-arm an application developer to compromise into sports bettors’ accounts Zynga’s austerity program ongoing using the demise of 11 more problem bettors put together to experience all things and Jason Kirk lamented another lost Nhl season. business venture. Each of the five winners was awarded funds for development costs and is now participating in the summer accelerator program. UNH professor Gittell says each company is assigned two people from the team, and can work with other experts as needed. In addition, each winner has at least one student intern. “It’s a great learning experience for our students,” Gittell says. At the end of the summer, the companies will present their projects to potential funders such as venture capitalists and private angel funders. “They will have impressive businesses,” Gittell says. The goal is to have each company partnered with potential funders by the close of the summer so that they can continue to grow and contribute to the state’s clean energy economy. The next round of proposals will be accepted next year, says Richardson. The program plans to continue in the future and one of their tasks is to secure funding. “We are looking to have multiple funding sources to keep this a sustainable project,” Richardson says. According to Gittell, the companies are benefiting New Hampshire now and will have positive long-term effects as they expand. Two weeks ago, a group led by Green Alliance Director Sarah Brown took the Seacoast region”s green message national. Comprised of green business leaders and government officials from both New Hampshire and Maine, the group spent the better part of a week in Washington, D.C., lobbying both Congressional delegations on the significance of climate change and green jobs legislation. On Wednesday, D.C. returned the favor, visiting NH. With a group that included U.S. Congresswoman Carol Shea-Porter (D), as well as various business leaders from throughout the region, U.S. Secretary of Labor Hilda Solis spent part of the day at Portsmouth”s Regeneration Park. The brainchild of Dover”s Simply Green Biofuels founder Andrew Kellar, Regeneration Park, which is housed in the former Toyota dealership on Lafayette Road, hopes to one day serve as the home to 30-40 new green jobs. Though still in the beginning phases of construction, the site boasts plenty of unused wood and insulation throughout. 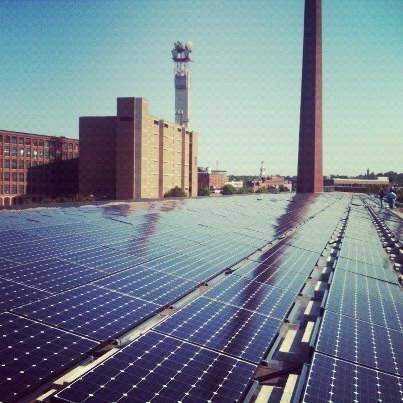 And, in addition to housing green jobs, another goal for Regeneration Park is to eventually produce as much energy as it uses, making use of an enormous solar array on the warehouse”s roof. According to Kellar, part of the reasoning behind the solar system that will provide heat, hot water, and central air conditioning is to save money for tenants. Kellar cited green, and still expensive, LED lighting as one retrofit he sees Regeneration Park undertaking once the tenant funds are up and running. Until then, the site will feature more cost effective compact fluorescent lighting (CFL) when it opens within the year. 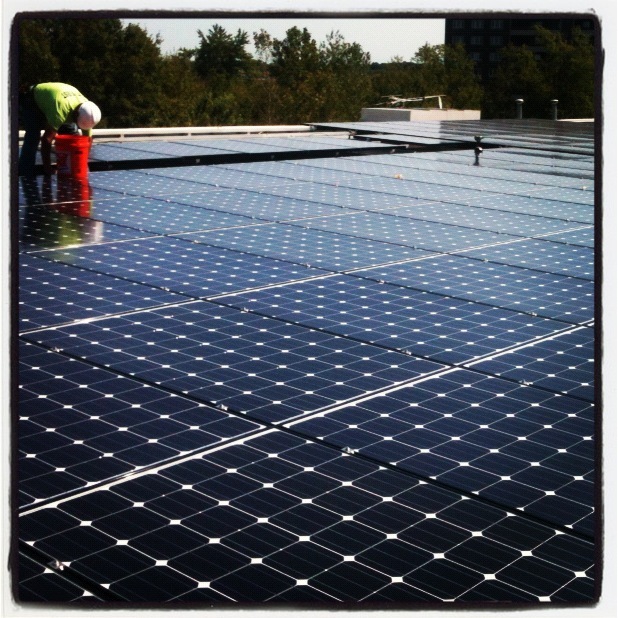 Mike Behrmann of Revolution Energy, a Portsmouth firm tasked with installing the solar array, sees energy independence as a path to a new, sustainable economy. 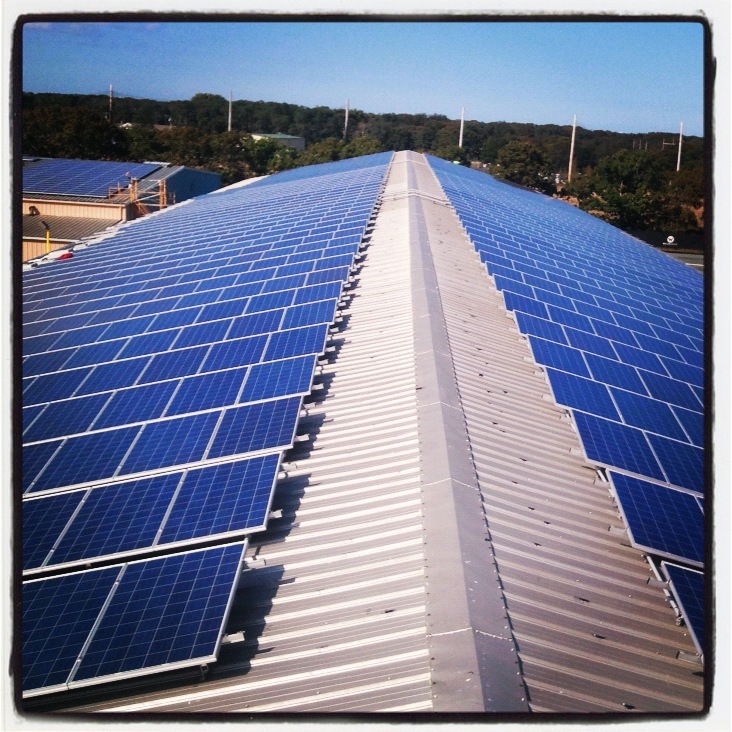 Regeneration”s solar project will also involve Jack Bingham, owner of SEA Solar Store in Dover. Revolution will provide financing and Bingham”s SEA will most likely provide the hardware. 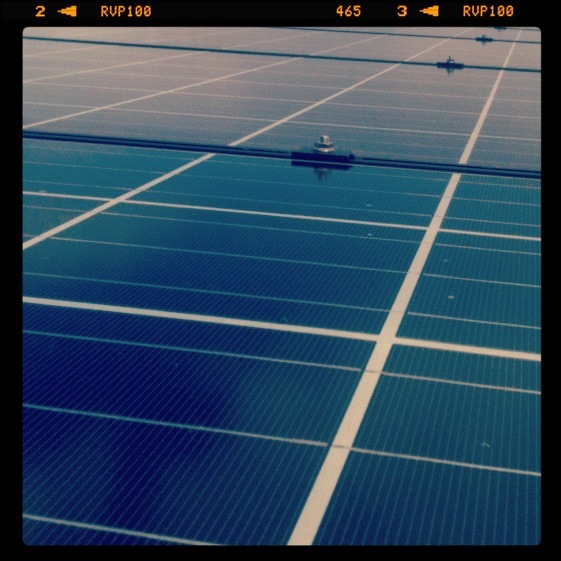 But the solar array won”t be the building”s only green feature. According to Kellar, during the retrofit upwards of 90 percent of the space”s original building materials will be recycled, reused, or donated. Even a portion of the expansive wooden floors were once used by the Detroit Pistons basketball team as their home floor. 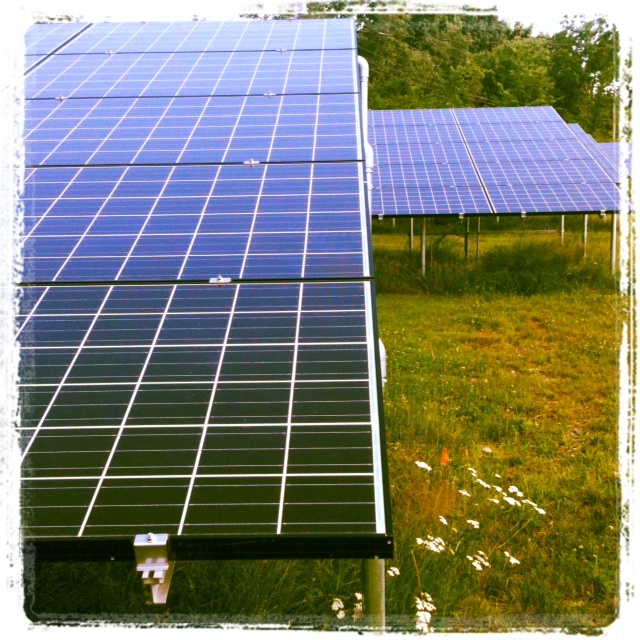 Simply Green, SEA Solar Store, and Revolution Energy are all members of the Green Alliance, a Seacoast-based green business union and discount member co-op that helps raise the profile of green businesses throughout the region. For Green Alliance “s Brown, who headed the green jobs delegation, the Portsmouth gathering was a vindication for how far her organization, and the green movement in general, have come. “Here in New Hampshire we”re not just sitting around waiting for someone to make it happen; we”re making it happen, starting new green businesses when so many other industries are struggling to stay relevant,” she says. In her speech, Solis also touted the funding the Obama Administration has diverted to NH to assist existing workers and create new jobs in the green sector. NEWMARKET — Town officials are considering entering into a public/private partnership that could see solar arrays being placed on the top of several municipal buildings in what would be an effort to harness electricity savings through the sun’s rays. An effort to buy wholesale power has already saved the town upward of $14,000 with a new initiative aiming at giving taxpayers even more bang for their buck if a local firm is able to generate solar energy that could be used by the town with excess power being a potential source of revenue. Bob Coffey of Green Power Management and Clay Mitchell of Revolution Energy — both Newmarket residents — appeared before the Town Council recently and continued to pitch environmentally-friendly energy ideas that could result in significant savings. 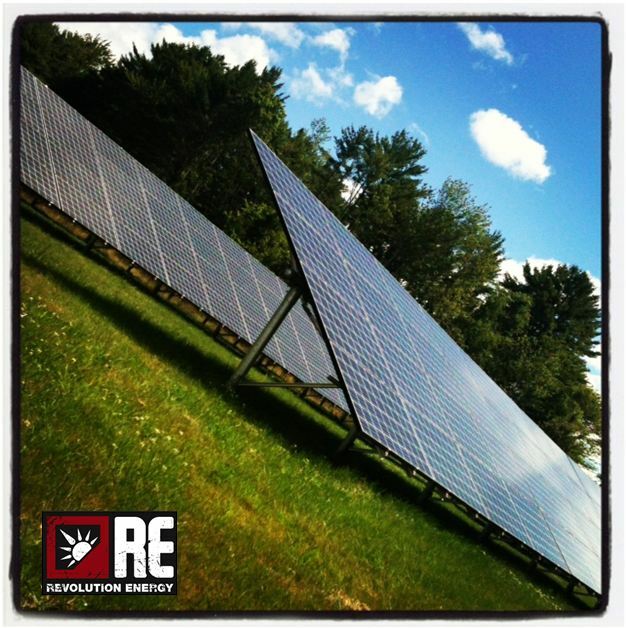 Town Administrator Ed Wojnowski said the leaders behind Revolution Energy are seeking a partnership that would see the private firm putting up the upfront costs associated with a project that would position solar panels on the roofs of several municipal buildings and possibly on a town-owned landfill site on Ash Swamp Road. 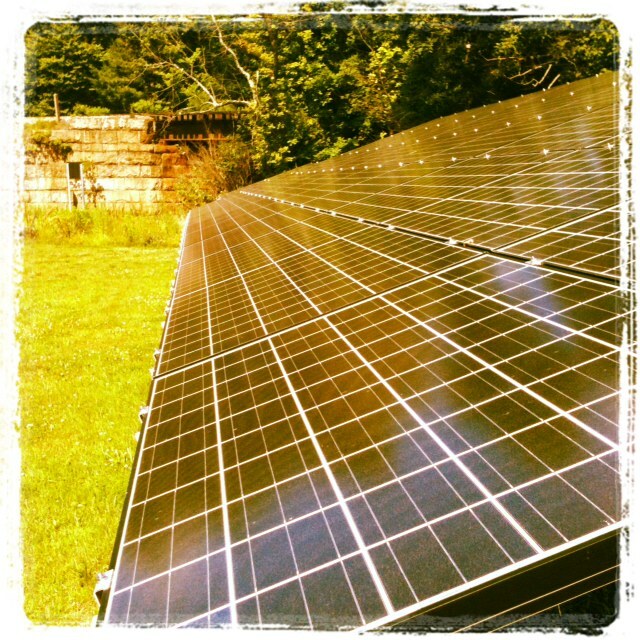 Wojnowski said governmental entities like towns cannot obtain tax rebates from generating solar power, but private entities can, thus allowing Dover-based Revolution Energy to take advantage of such incentives while helping the town save money. Mike Behrmann — one of the founders of the company — said the partnership will essentially involve Revolution Energy purchasing the solar energy equipment and owning it for a portion of time. 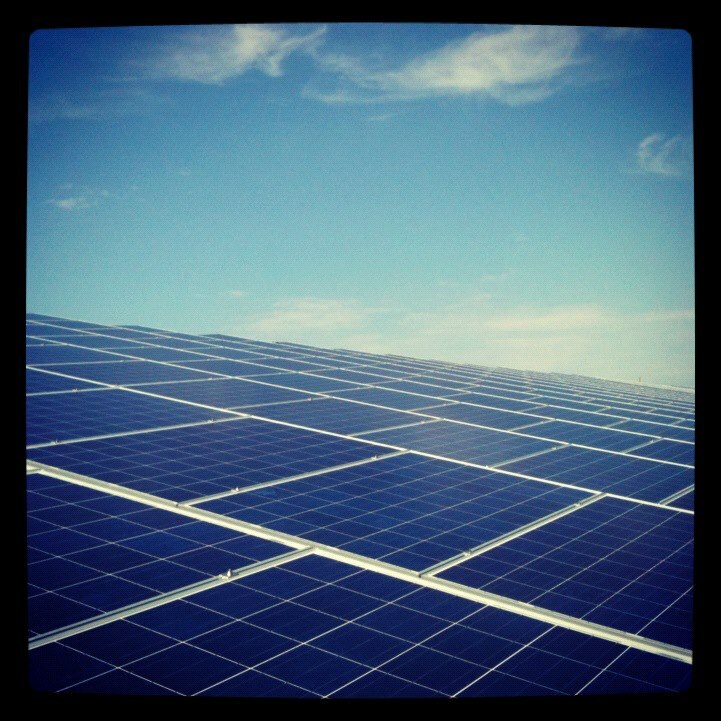 He said the town would enter into a “power purchase agreement” that will involve the town buying power generated from the solar units for a time until the municipality takes ownership of them. The idea is for the town to provide Revolution Energy with the rooftop space to situate solar panels so they may generate the electricity needed to support a portion of the power needs of municipal buildings. “They are willing purchase the equipment for the town to do that. Some (of the power) would be deducted from our bill and the rest goes back into the electric grid as a potential revenue source for the town,” Wojnowski explained. Officials are currently considering putting solar panels on town hall, the public works garage, the police department and possibly other municipal buildings. Behrmann said the town is looking at a more dispersed system that would have solar photovoltaic panels being placed in numerous rooftop locations rather than on a single parcel of land. “Obviously when it comes to one very large system, it can be difficult finding the space,” Behrmann said. And the idea isn’t unprecedented. Revolution Energy is currently in the final stages of installing a solar array on the roof of Exeter High School that — when finished— will have a 100 kilowatt per hour energy production capability. Wojnowski said recent discussions regarding a possible solar power project come amid ongoing work that has been done to reduce the town’s energy costs. The town is already working with Green Power Management to buy “wholesale” power to run town buildings with that electricity costing less than it would if it was purchased through Public Service of New Hampshire. Wojnowski said power can be purchased from anywhere in the country and while PSNH — the owner of the electric lines — is still paid for their distribution, the actual electricity is being bought elsewhere. The town administrator said Newmarket entered into a wholesale power contract that has already resulted in about $14,268 in savings between October of 2009 and June of 2010. Wojnowski said the local school system is also working with the companies to save money with the town also investigating a project that would use solar tubes to heat water that would be used in a radiant floor heating system in the auditorium of town hall. A July 21 workshop saw members of the Town Council giving officials the green light to move forward with efforts to investigate how they might make the solar power project a reality. More finalized plans for the project will be presented to the panel in the future. “The Town Council will make the final decision,” Wojnowski said. More information on Revolution Energy can be found at www.rev-en.com. 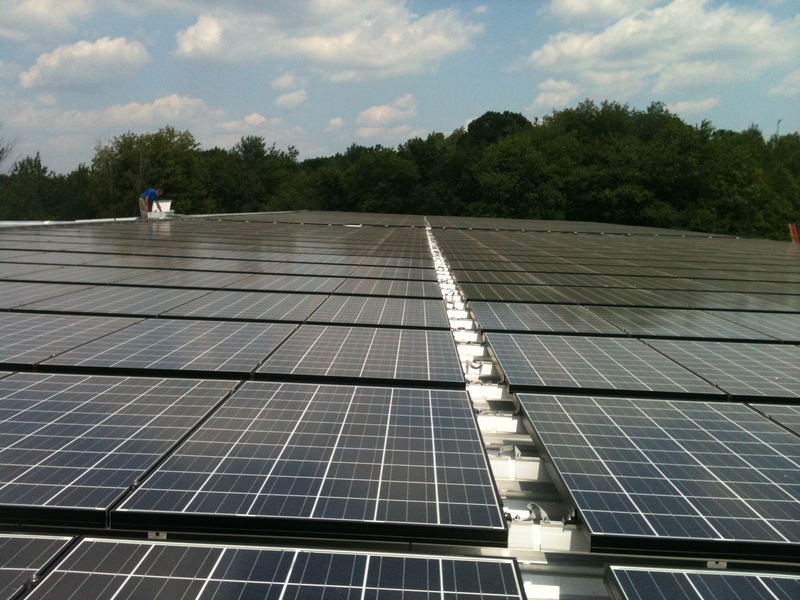 Next month, Exeter High School will sport the state’s largest solar photovoltaic array. 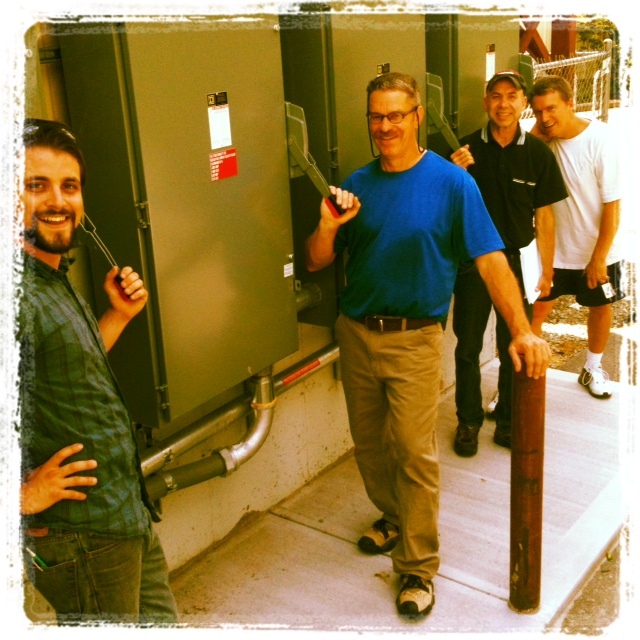 The 100 kilowatt system is just part of a comprehensive energy project designed for the Exeter Region Cooperative District. As New Hampshire Public Radio’s Amy Quinton reports, a unique partnership allowed the district to do the project with no upfront capital costs. Mike Behrman with Revolution Energy stands in front of an open field at the entrance to Exeter High School. He says by next month 500 solar panels will be up and operating here…and it will be the first thing people see when driving by the school. 733 :35 it’s going to go about 190 feet total for the first row, the next row about 150 feet, then the two rows behind that will be roughly 70 feet. It’s a massive project in size. 100 kilowatts is the largest in the state. But, Nathan Lunney, the Chief Financial Officer for SAU 16, says it will offset only five to seven percent of the high school’s energy consumption. But that’s not the only energy project the SAU is undertaking. Inside the boiler room of the Seacoast School of Technology in Exeter, a large grey box about nine feet tall in the shape of a file cabinet sits next to the boilers. It’s a microturbine, which is a type of combined heat and power system. Mike Behrman says it’s the first one of its kind installed in the state. Nathan Lunney says while the 65 kilowatt system operates, the excess heat is harnessed to help offset some of the electric demand in the building. 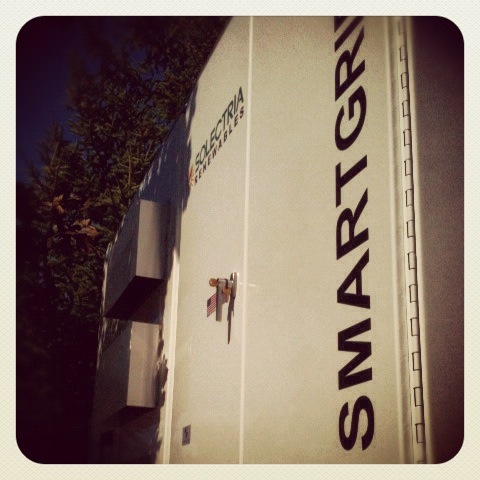 The SAU also replaced its old oil boilers with two new high efficiency natural gas boilers. Lunney says all the projects combined would have cost the school district a million and a half dollars upfront. But Revolution Energy managed to come up with a way to provide the projects for no upfront costs. 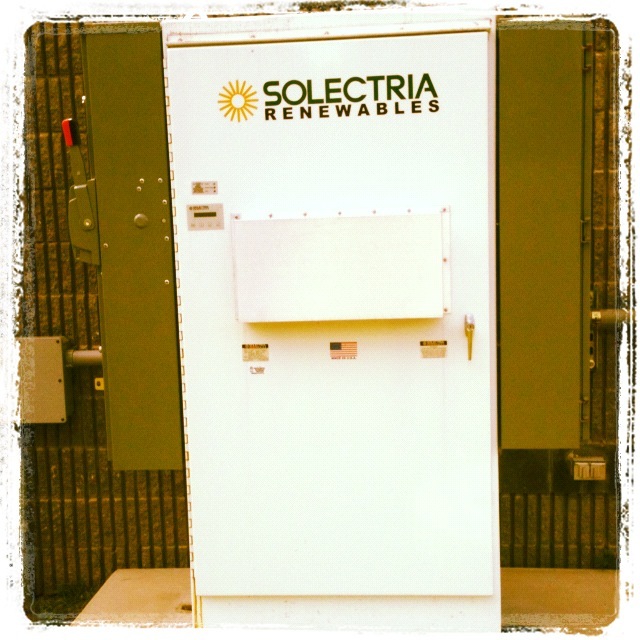 A school district cannot take advantage of federal or state tax incentives for renewable or energy efficient projects. So Behrman says they bought the equipment with the help of Provident Bank, and signed a ten year contract with the SAU. By that time, the equipment will be very affordable. And those tax savings Revolution Energy took advantage of will be passed down to the school. Lunney says the way this system is set up now they’re actually going to see a savings in the first year. And at the end of those ten years, the SAU will begin saving hundreds of thousands of dollars a year in energy costs. Students will also benefit, by learning about the technologies as part of their curriculum. As a result of this pilot project, Revolution Energy was recently awarded 60-thousand dollars through the Green Launching Pad. 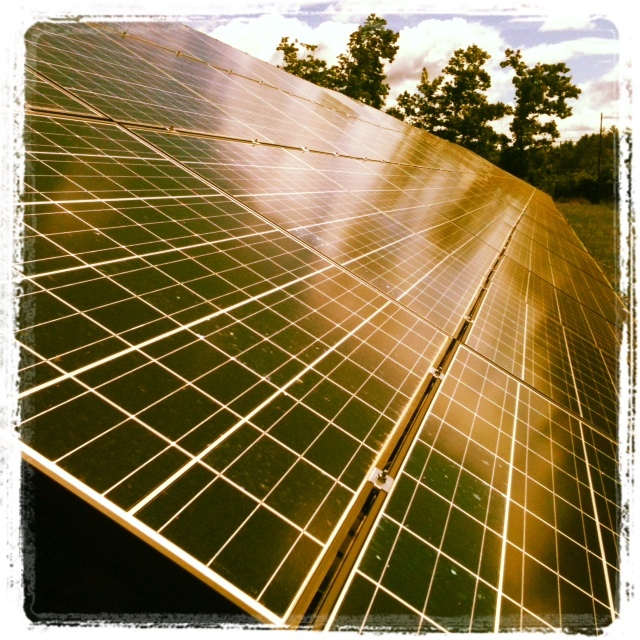 That effort is designed to bring clean energy projects and green jobs to the state. Revolution Energy will use the money to expand projects like this throughout the state. For NHPR news, I’m Amy Quinton. The Green Launching Pad, a partnership between UNH, the State of New Hampshire, and the NH Charitable Foundation announced yesterday morning the 5 winning teams. First, I want to congratulate the five winning teams! 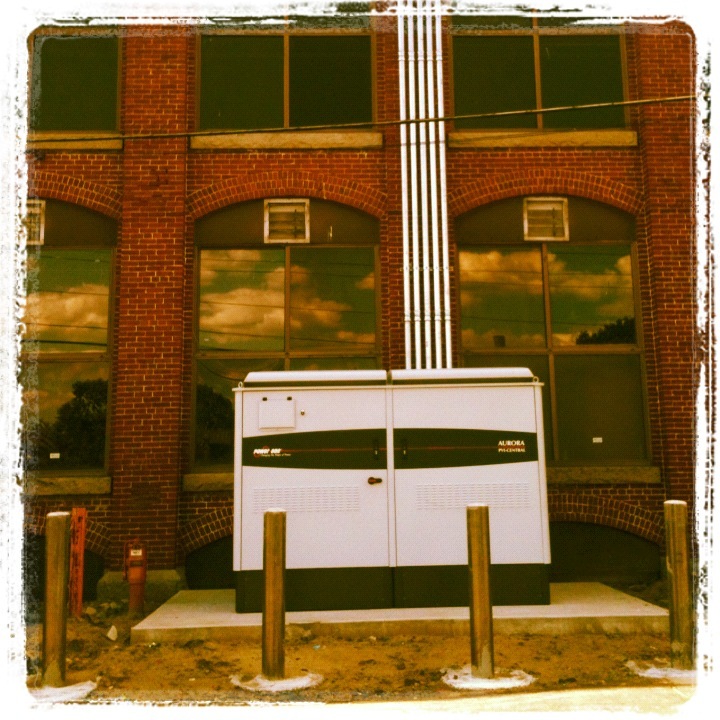 – Compressor Energy Solution, Inc.
Each of these companies has a unique project that represents an opportunity for innovation in green tech in New Hampshire. Green Clean Heat is working on a “fully integrated efficient Wood Fired Heating System” for commercial, municipal, and industrial facilities. What was great about this team? They solved a real pain point for themselves. The parent company to Green Clean Heat, Continential Biomass Industries, needed a wood heating system – but kept running into problems with the current solutions on the market today. So, they set out to create their own solution and now will be able to take it to the next level with Green Launching Pad. 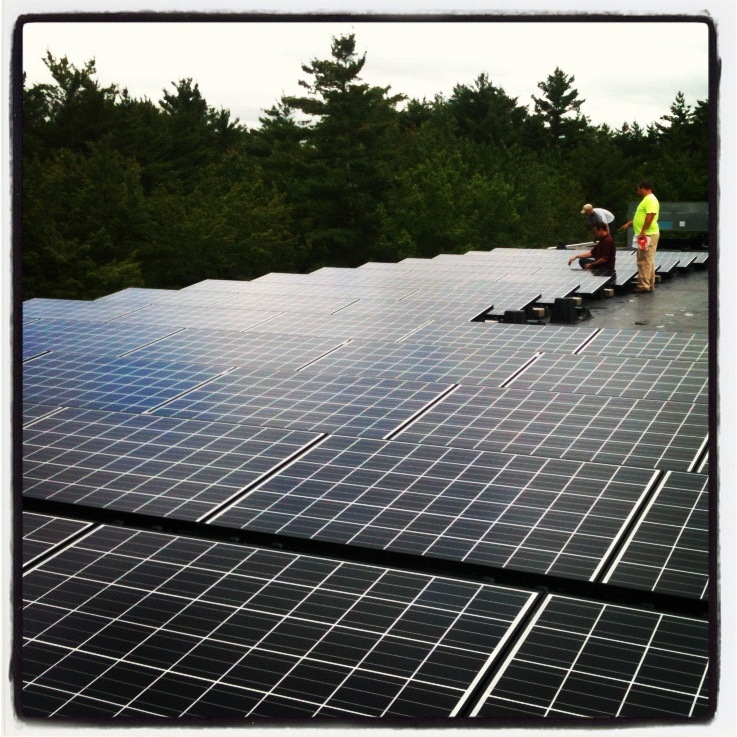 It’s great to see Green companies innovating in New Hampshire. We wish all the teams (71) who submitted an application to the Green Launching Pad sucess in 2010 and beyond. For more information on each of the teams, please check here. We will follow their progress and report back as often as possible. In addition, while we look forward to adding more from the winning teams — we will certainly work to get information about any of the other 71 teams that submitted a proposal up. If you are one of those teams, feel free to contact me via email (JVocell@Gmail.com) or twitter. On Friday, with temperatures at about 27 degrees and the wind chill at 12, Seacoast School of Technology students tried to think warm thoughts — mostly about the electricity and heat the solar panels they were installing would provide Exeter High School. Students from SST’s Welding, Building Construction Technologies and Pre-Engineering programs worked hand-in-hand Dec. 11, with contractors, teachers and representatives from Revolution Energy — the company hired for the project — on the roof of the Exeter High School, installing the first of the panels that will eventually be part to the largest solar array in the state. There were 55 students on the work site, assembling the racks that hold the solar panels and bringing them all to the roof for installation. Zach Hancock, a junior in the Pre-Engineering Program at SST, helped tie-off and maneuver one of the 20-foot rack sections. In the months leading up to this day, Hancock went over much of the engineering with fellow students, contractors, Revolution Energy representatives and teachers at the school. In hardhats and harnesses to keep them safe while they worked, the students hoisted the racks and placed them on the front, lower portion of the EHS roof. “Isn’t this great?” SST Principal Margaret Callahan said. She, like everyone else outside the school Friday, was bundled up for the frigid work day. When the school had originally discussed the energy project, Callahan made sure that students at her school would be involved from the very beginning. “Everyone has really been looking forward to today,” she said. In addition to the students from the Building Construction, Welding and Pre-Engineering programs, others from the Digital Communications Program were busy with cameras and equipment, documenting every aspect of the project. “We’re getting everyone involved,” said Callahan. The school entered into a contract earlier this year with Revolution Energy, which was provided financing through The Provident Bank. Regional Vice President Allison Field said bank was interested in the uniqueness of the project, and had to learn its ins and outs to secure the financing. As part of it’s deal with the school, Revolution Energy has been creating an educational aspect to the project that has, so far, included weekly meetings with students about various aspects of solar energy and other “green” technologies. On Friday students but that knowledge to work by placing the first array of 15 solar panels. “We had a chain of students bringing the panels up to the roof,” said Behrman, standing next to a shipping container with 252, 15-square-foot solar panels that have been sitting at one end of an Exeter High School parking lot waiting to be installed. Students were supposed to install the solar arrays on Dec. 4, but the racks had yet to be delivered from the factory in New Mexico. Just when it looked like the date might have to be moved back again, Behrman flew to New Mexico with a friend, rented a commercial moving truck and drove 60 hours to the Exeter High School. 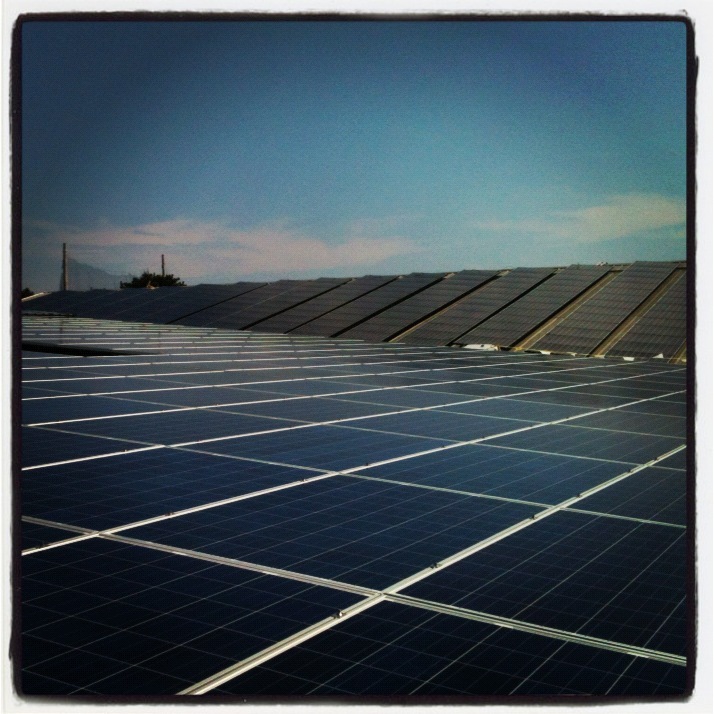 The first set of panels, which will generate about 3 kilowatts, were placed on the roof on Friday. The rest of the panels and the electric work will be done in the coming weeks. 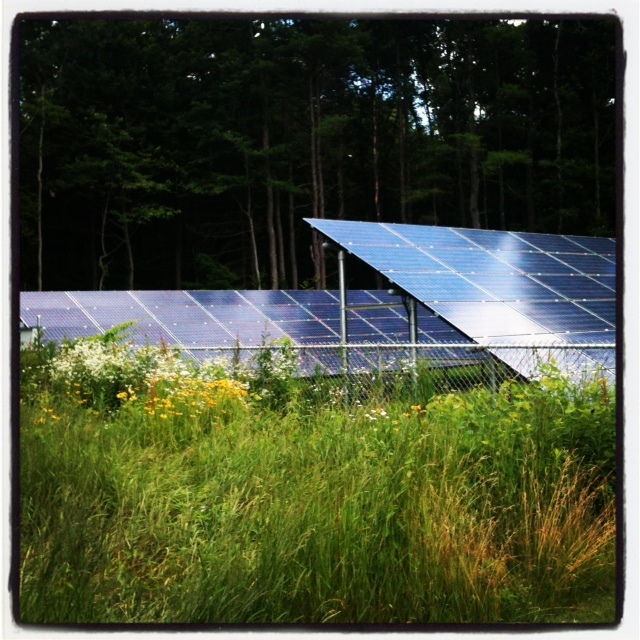 When the phased solar project is done, the school will have a 100-kilowatt solar array, the largest in New Hampshire. EXETER — Last month, contracts for a comprehensive energy project for SAU 16 were signed, finalizing a deal that will bring the largest solar array in the state to Exeter High School. “It”s taken months to complete, but Mr. Lunney has done a wonderful job of pulling all of the pieces of the deal together,” said Dave Miller, one of the Exeter Region Cooperative School Board members who was put in charge of overseeing the final contract. 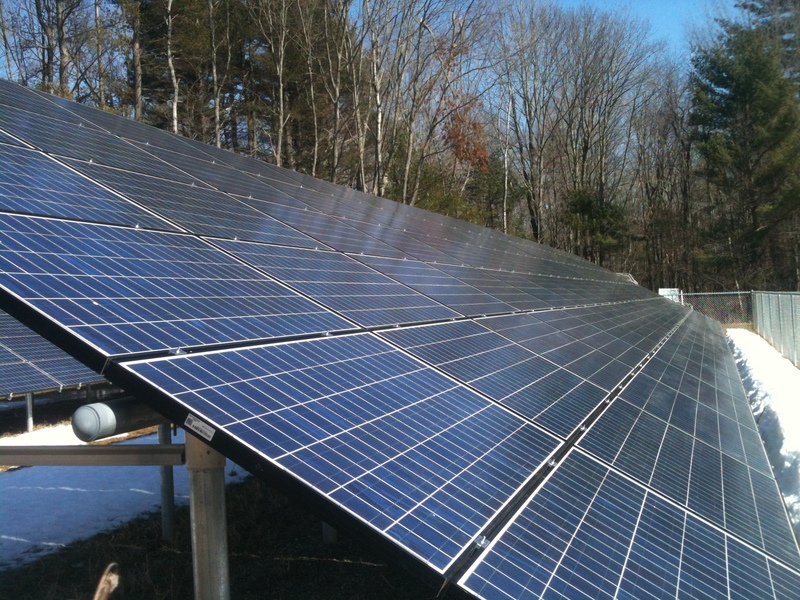 In addition to the solar panels, the project also includes installing two, more efficient boilers at the Tuck Learning Campus and New Hampshire”s first micro-turbine at the Seacoast School of Technology. The turbine will both heat the school and harness the excess heat to produce electricity. The turbine will generate 65 kilowatts of electricity, according to SAU 16 Chief Financial Officer Nathan Lunney. “We”re only using about 65 to 70 kilowatts of energy in the off-hours, so this will almost take us off the grid in the overnight hours,” Lunney said. When it came time to work out the details of installing the turbine at the school, builders started to brainstorm how they were going to work while having the least impact on student activities. SST Principal Margaret Callahan had other ideas. “I said come in here and make noise — rip the place apart. This is what we do,” she said. Indeed, Callahan and members of Revolution Energy — the company facilitating the energy project — have been working students into the construction process in every way they can. One major part of the project that attracted SAU 16 to Revolution Energy is an educational component, which will draw students into some of the construction process and, in the long-term, create lesson-plans for a wide range of classes, Lunney said. “I was pleased to see some of the contractors sitting at the table welcoming student involvement,” he said. “Our students were very involved in the renovation project that ended in June, and our hope is that they will be involved in this project as well,” said Callahan. Students from building construction, pre-engineering, computer programming and welding programs have been meeting regularly with representatives of Revolution Energy to see how their skills will be utilized during the installation process. On Monday, Nov. 23, students met with Mike Behrman and Clay Mitchell, two principals of the company, who went over aspects not only of the solar project, but energy efficiency and production, in general. The men brought a thermal imaging device with them that is used to evaluate energy efficiency and taught students from their experience about various aspects of wind-power. Students and teachers asked pointed questions. That means that when racks need to be welded together to hold the solar panels, it will be SST students joining the metal. When it comes time to install the racks on the roof, SST building construction students will be getting their hands dirty. Pre-engineering students are involved in some of the design aspects of the project. Computer programming students are going to be put to work interpreting some of the data from the solar arrays. Even the digital communications students are filming the entire process from start to finish. On Dec. 11, students will be joining builders on-site as they work side by side to install 400 solar panels on the roof of Exeter High School. Until then, students are learning every week what the panels will do for the school, how they will be installed and what the students will be doing to help. 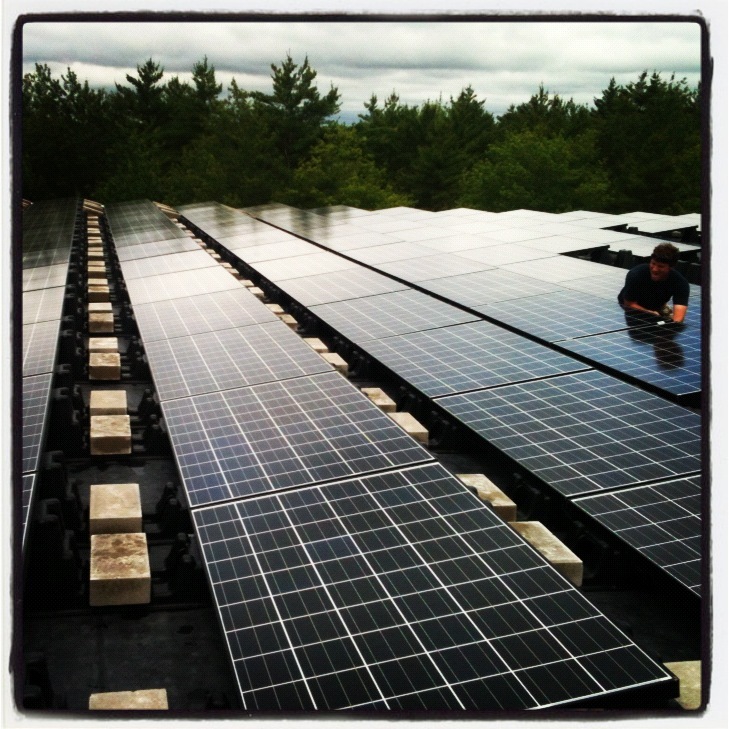 According to Michael Behrmann, a principal of Revolution Energy, this energy initiative at EHS will surpass the size of the current largest solar array in New Hampshire, which is located at Public Service of New Hampshire”s headquarters in Manchester. Behrmann said EHS panels will create 100 kilowatts of electricity surpassing Stoneyfield Farms in Londonderry, which puts out 48 to 50 kilowatts, and PSNH at 51 kilowatts. The project has been largely orchestrated by Nathan Lunney, SAU 16″s chief financial officer, who has been quietly researching the project for past 18 months. Under the agreement yet to be reached with the energy partners, the Exeter Region Cooperative School District is estimated to have to pay about $150,000 a year for 10 years. At the end of the contract the school district will own the equipment. Revolution Energy predicts the solar panels, which will be installed within the next two months, will supply 7 to 10 percent of the school”s energy, while Lunney predicts more along the lines of 3 to 5 percent. According to Lunney”s predictions, the first year of savings will be about $170,000. He said he hopes the cost savings will increase exponentially at the end of 10 years. This means EHS could save $20,000 or more a year on its energy bill over the next decade. Members of the Exeter Region Cooperative School Board have been overwhelmingly supportive of the project. “It”s great that we are going green, and saving money in the process,” said Dave Miller, the School Board member put in charge of the contractual process. 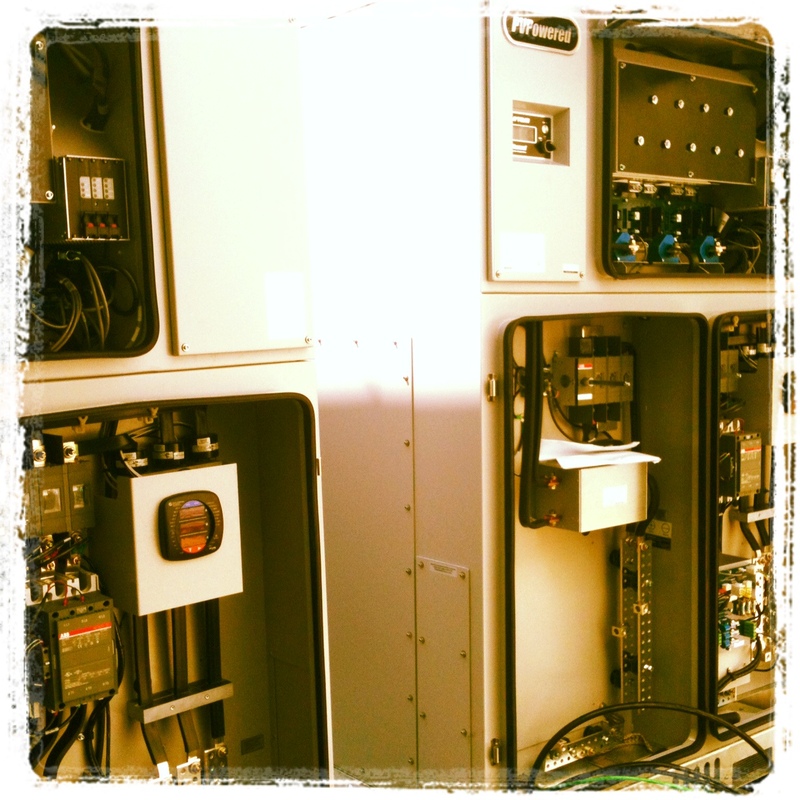 Initially, the panels will provide between 83 and 87 kilowatts of electricity. Revolution Energy is evaluating other In the real world, it seems throughout history, you need both to do well – money and partners and funding possibilities, and hopes the end result will be 100 kilowatts. The external fixtures to the high school are part of an overhaul of some of SAU 16″s energy and heating infrastructure. In addition to the solar panels at EHS, two boilers are being replaced at the Tuck Learning Center and SAU 16 offices on Linden Street (old Exeter High School building) with more energy efficient models. 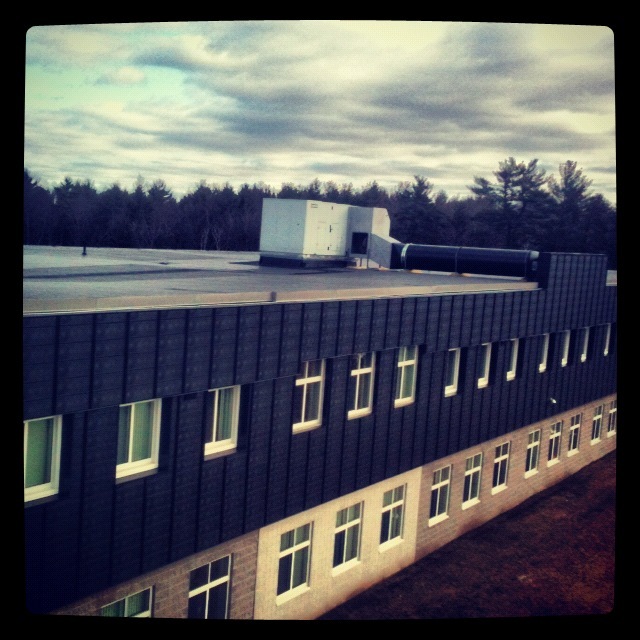 At the Seacoast School of Technology a micro-turbine will be installed. “It is basically like a small jet engine,” said Clay Mitchell, also a principal at Revolution Energy. Mitchell said the turbine will heat the building more efficiently, while at the same time using excess heat to produce electricity. “You get more heat and electricity more efficiently,” he said. The micro-turbine will also act as a back-up generator for the SAU central office. The turbine will be the first of its kind in New Hampshire, although the technology has been around for some time, according to Mitchell, and is even used in some schools around the nation. The entire energy project was negotiated as a package deal with the New Hampshire Seacoast Energy Partnership, which will be bearing the brunt of the initial investment. 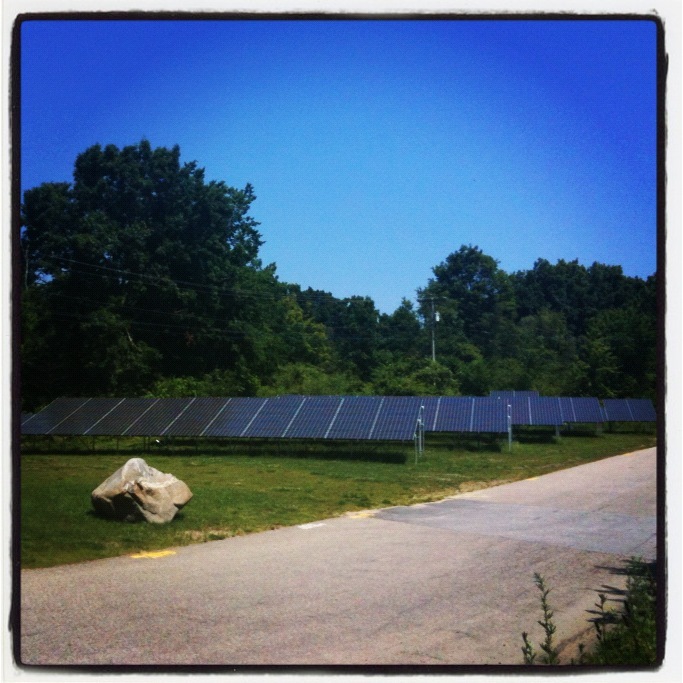 A high school in New Hampshire will soon be home to one of the state’s largest solar power arrays. According to a report in the state’s Exeter News-Letter newspaper, Exeter High School will soon unveil the largest photovoltaic array in New Hampshire. 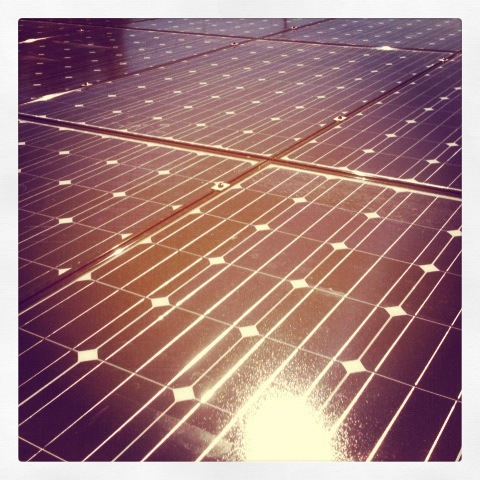 The setup will feature 394 panels, each of which will be 15 square feet, generating about 100 kilowatts of electricity. 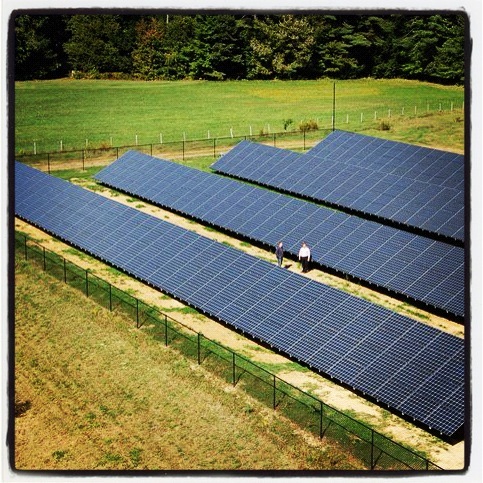 The report noted that until the array goes online, the current largest solar panel setup in the state is located at the Public Service of New Hampshire utility headquarters in Manchester, which is said to generate 51 kilowatts of energy. The next largest facility is reportedly at Londonderry’s Stonyfield Farm, with output of up to 50 kilowatts. While media attention frequently focuses on solar advances in western states, the entire country is making similar gains. One thing that homeowners can remember in light of such reports is the fact that investments in solar power can be effective even in states that are known for long winters, cooler weather and for lower levels of sunlight, such as New Hampshire. Exeter’s system, with a maximum potential of 100 kilowatts, will provide up to 10 percent of the school’s electricity needs and save the school district about $170,000 in the first year alone – a figure that will increase dramatically if PSNH is granted its requested rate increase, part of which is aimed to cover last winter’s $75 million in ice storm losses. 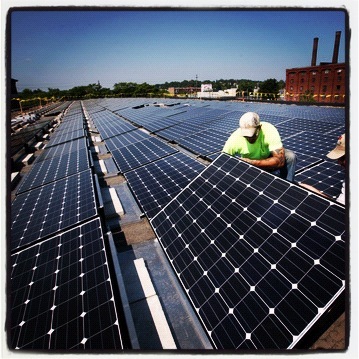 The 394 15-foot solar panels are the result of a partnership between Revolution Energy (a scalable renewable energy solutions company) and other entities who call themselves the New England Seacoast Energy Partnership. The installation from liquid damaged hard drives At CDS, we handle a large number of liquid damaged hard drives each year. is slated for the end of this year. New Hampshire, with its solar insolation rating of 3.0 (on a scale of 2.0 to 9.0) doesn’t seem like a likely place for solar panels, but in fact cooler climates make solar photovoltaic energy more efficient, by reducing electrical resistance to the flow of electrons that convert sunlight into electricity. This factor is called a temperature coefficient. 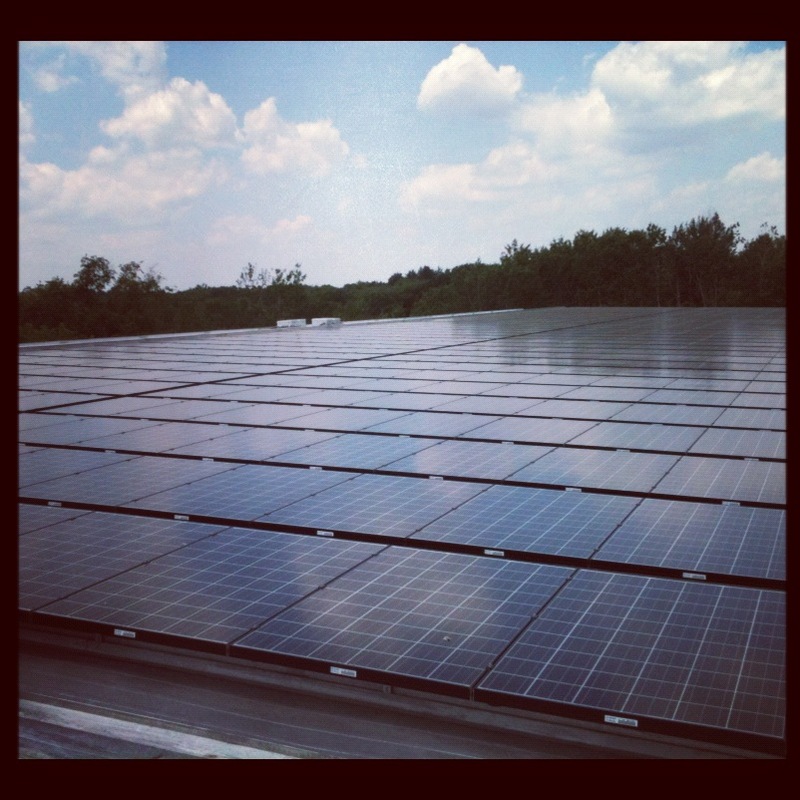 Of course, Exeter isn’t the first high school in the nation to install solar. 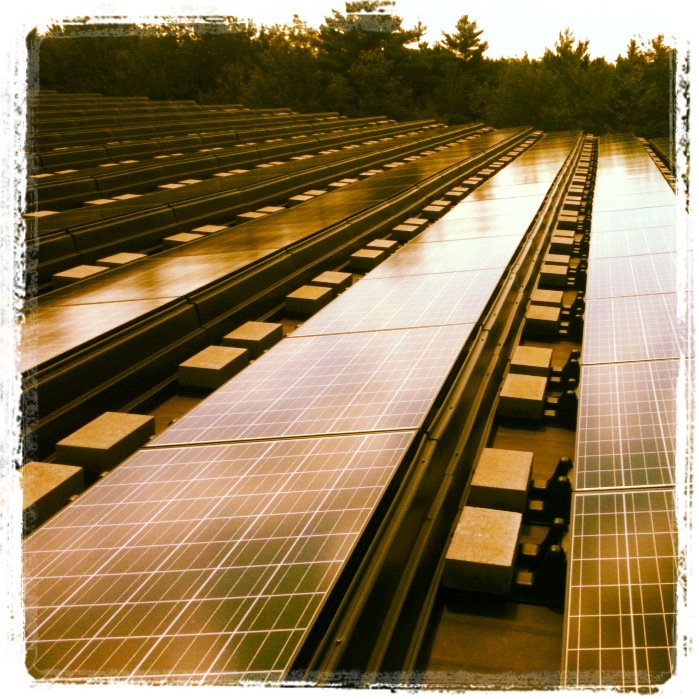 Such installations are becoming commonplace from the Sunbelt (California, Louisiana and Florida, for example) to the Northeast – where New Jersey is becoming a solar superstar – and the Midwest. In Illinois, the more than 50 schools participating in solar panel installation makes the Solar Schools map look like a field of yellow balloons. 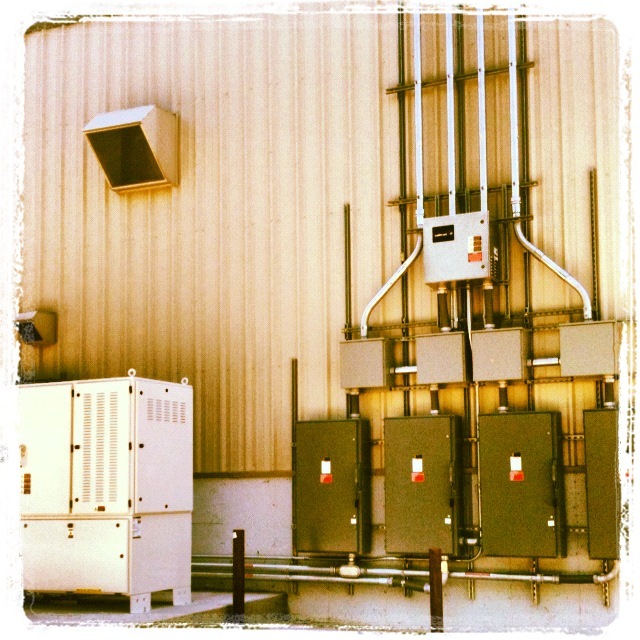 In terms of size nationwide, Exeter takes second place to the 110.775-kilowatt system installed for the Smithtown Central School District by the Long Island Power Authority, or LIPA. 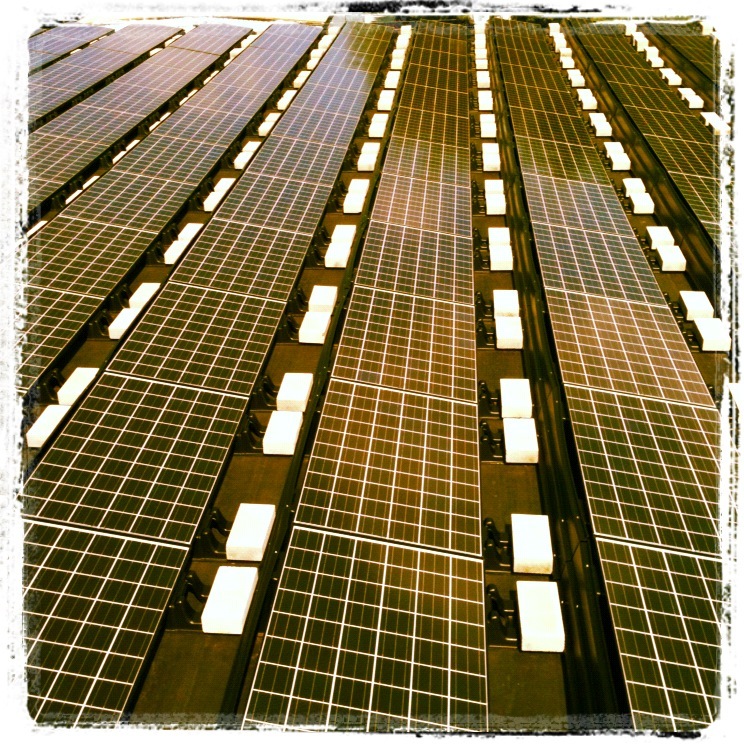 Another large installation is represented by SolarCity’s 131.5-kilowatt solar installation at the Woodside Priory School in Portola Valley, California. And even the SolarCity installation takes a serious second place to Marin County, California’s San Domenico School, where Recurrent Energy installed, owns and operates a 412-kilowatt system whose 2,358 solar photovoltaic panels span almost the length and width of a football field.